Thursday, 17 January 2019, 5:34a.m. The teen brothers who died in a crash as they fled police in Christchurch were the nephews of a man who shot and killed a 22-year-old in the city centre in 1989 before turning the gun on himself. 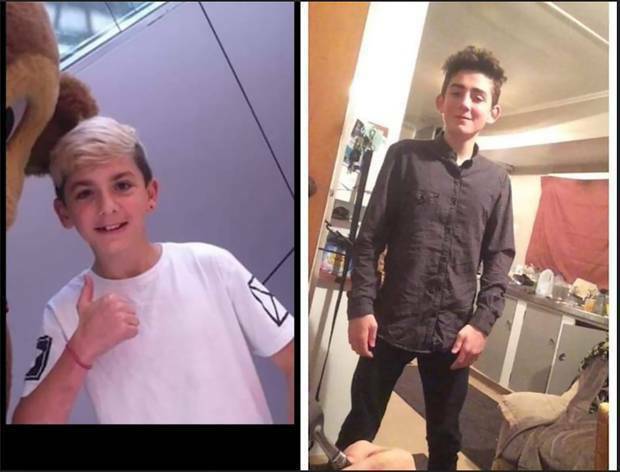 The boys' father has now spoken out about the fatal crash and the link to his killer brother - urging people not to judge his children for the sins of their relatives. Craig was 13 and Glen had turned 16 two days earlier. The Herald can now reveal the young brothers were the nephews of Glen Mcallister, a skinhead who went on a murder-suicide rampage in Cathedral Square in 1989. The boys' father, Craig Mcallister, is the brother of Glen. The younger Glen and Craig are named after their father and uncle. Early on October 4, 1989, Craig Mcallister dropped his brother - armed with a pump-action shotgun - off in the square. Soon after, Glen Mcallister shot 22-year-old Wayne Richard Motz dead. He then walked 80m to the police kiosk that was situated in the square at the time and turned the gun on himself. Glen Mcallister had been released from prison just 10 days before he shot Motz at random. He and his brother Craig Mcallister were skinheads at the time of the murder-suicide. After the crash Canterbury district commander Superintendent John Price said police had pulled out of the pursuit. "Ultimately, police are here to protect our community. Our staff must strike a balance between the responsibility to protect life and the duty to enforce the law." Craig Mcallister was never charged in relation to Motz' death. He claimed he had to choose between dropping his brother - who he says had schizophrenia - off in the square with the gun, or a "residential area full of people". "I had no choice … but after my brother died I pulled out of the skinhead club. "I was drug addicted for 15 years after my brother died, but I got myself clean. "I've been working my whole life since, my boys had a good life. "I never let my children meet any skinheads, they were horrified when they heard stories about what I used to be like, they can't believe it was the same person. "Glen went with them because he wanted to protect them … from getting into pursuits and fights, he was trying to keep them safe. "His whole life Glen wanted to be a cop … it's so cruel." Craig Mcallister said despite his skinhead background and his brother being a murderer, he did not want his sons judged harshly. 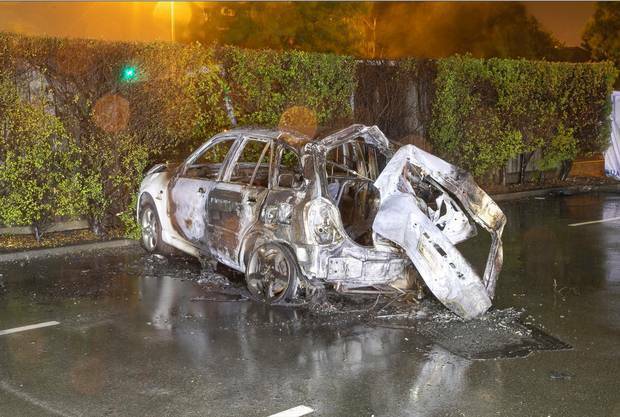 "Yeah, they stole a car, but they just did not deserve to die." A Givealittle page had been set up to assist the Mcallister family with funeral expenses. More than $2500 had been donated so far. Motz' sister Vicki Motz-Wallace spoke to the Herald about the fatal crash. "It just put an absolute chill down my spine when the names came out," she said. "I just knew who they were." Motz-Wallace hoped people would consider the Mcallister family history before donating to a Givealittle page set up to fund the young brothers' funeral. "I know this woman lost her children, but I just don't believe the money is going to a good place. "It's unbelievable… and they did nothing to help us when my brother was killed - we had no support like that, we had nothing." Following the crash Canterbury district commander Superintendent John Price said the officers involved were "absolutely devastated about what happened". "These officers did not come to work to do anything other than to keep our community safe," he said.